We feel ya. That's why Chef William Tran started AfterDark, an Asian fusion delivery service. 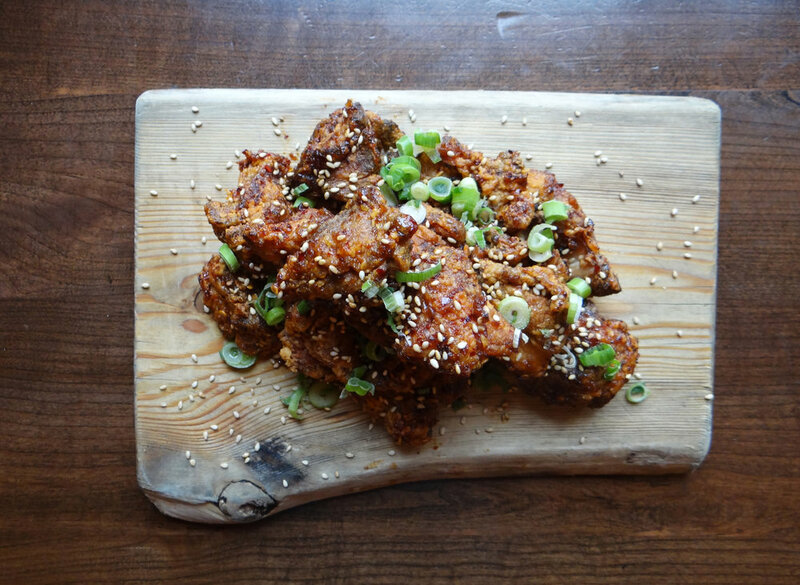 We also operate a super secret menu at H-Bar… if you know who to ask. 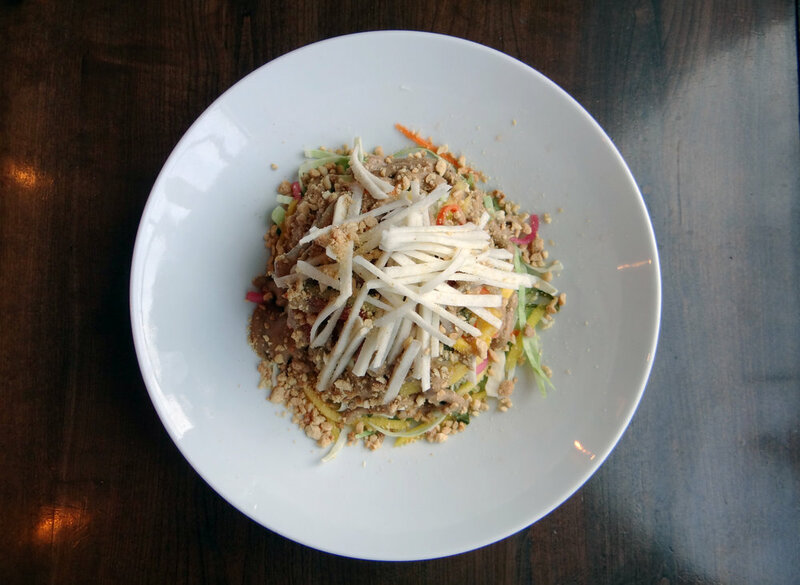 Asian slaw topped with our house made pickled vegetables. Served with a spicy soy ginger or gado-gado (peanut) dressing. Popcorn karaage chicken in a chili garlic sauce. Served with a side of our sriracha chips. Curried chicken rolled in a fried and flaky Chinese pancake. Fried chicken, vegan style. 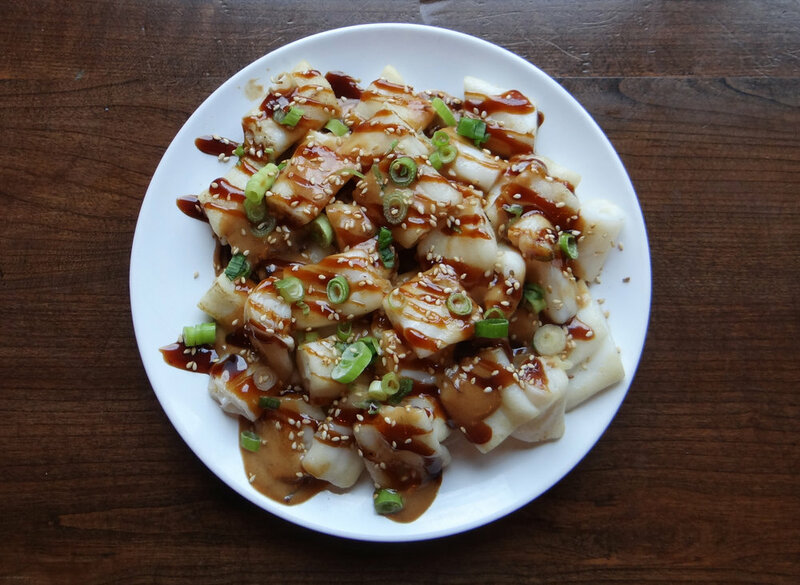 Topped with our sweet and spicy chili garlic sauce. Where do vegans get their protein? Right here, boyyy. East meets, uh… less east. A flaky Chinese pancake, stuffed with tofu and our house made vegan butter “chicken” sauce. It’s our most popular vegan dish for a reason. Udon noodles tossed in a spicy sauce, with smoked tofu, house made vegan Sriracha mayo, and fried onions. Just like your mom made you when you turned vegetarian… if she was Asian, and could slay it in the kitchen. Flaky pastry, filled with our house made vegan custard. Don't have a Macau, man.